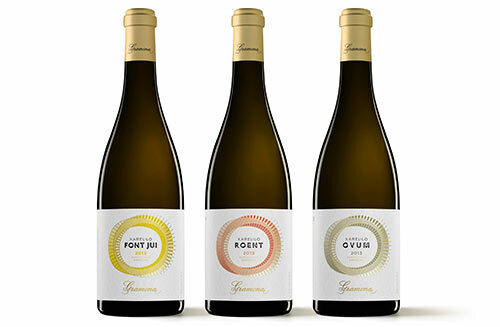 Stalwart producer of DO Penedès and DO Cava, Gramona has brought out a line of three wine whites all based around the grape, Xarel·lo. For those who might be unfamiliar with the name, it’s a key part to the blends that go in to Cava and it’s a serious workhorse for the Penedès region. As a single varietal wine, it can produce light, pleasing bottles that go down easily, but it’s generally not thought of in the same context as say White Grenache, Macabeu, or the French transplants of Chardonnay, Chenin Blanc, and Viognier. That being what it may, Gramona decided to make their wines using different production methods for each, but all their own organically grown grapes from different properties. The results overall are solid wines that retain a distinctly “Penedès” character in that they remain light and could pair with countless light dishes. The price of 13€ might put some off as Penedès wines are generally a bit lighter on the wallet, but honestly for a fully certified organic wine, the price is reasonable. Fermented and aged in more traditional mid-toasted French oak barrels of 300 liters. Aromas of green cherry, lime peel to the nose along with white fruits. Light in the body and somewhat astringent with notes of lime and minerality. Very defined acidity in the finish. Fermented in 3,000 liter barrels, but ones of multiple uses. In the nose are green pear, apple, lychee, and lime peel along with tiny herbal notes of rosemary and fennel. Very tart in the body with big acidity. Good for seafood or seared pork. Fermented and aged in a mix of neutral vessels including terracotta amphora. Lychee, orange skin, light green apple to the nose. Light in the mouth, great deal of acidity with a texture of crushed grapefruit that follows to the finish with a pinch of bitterness at the end.